A Season Pass means 10% off the regular $89 ticket price (plus taxes and fees). 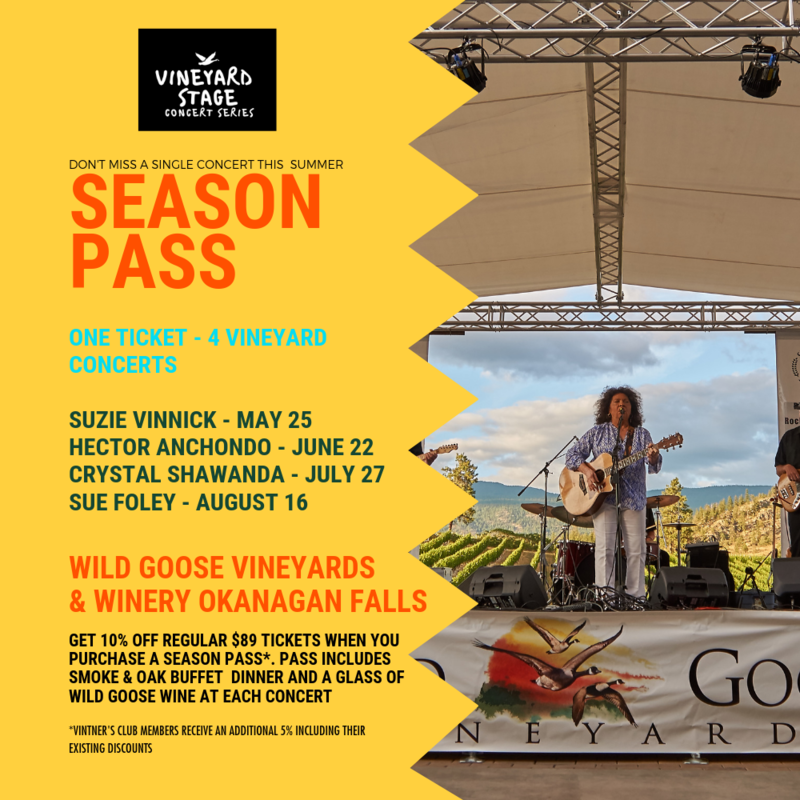 Your ticket includes Smoke & Oak Buffet, entertainment and a glass of Wild Goose wine. Gates open at 5:45 pm, Dinner at 6:00 pm, Band at 7:00 pm for each event.